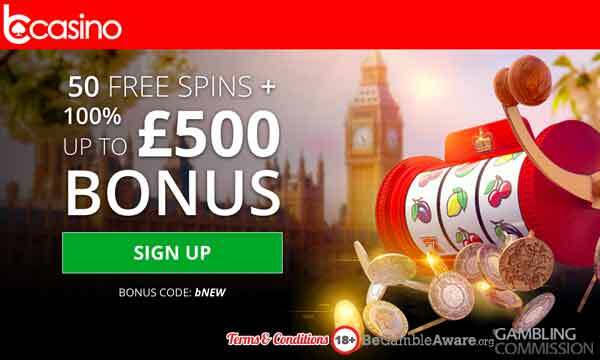 Get A 100% Bonus To £200 Plus 20 Free Spins At Gala Casino! At Gala Casino new players can double their first deposit and get 20 free spins on a fantastic range of slots. The 100% Gala Casino Bonus can be claimed with a maximum bonus of £200 available. New Players Only. T&Cs Apply. 18+. Please Gamble Responsibly. With the Gala Casino Bonus you can claim a £200 casino bonus on your first deposit, plus get an extra 20 free spins. Age of the Gods, Furious Four, Goddess of Wisdom, King of Olympus, Prince of Olympus, Batman &The Riddler, Batman & The Joker Jewels, Batman & Catwoman Cash. 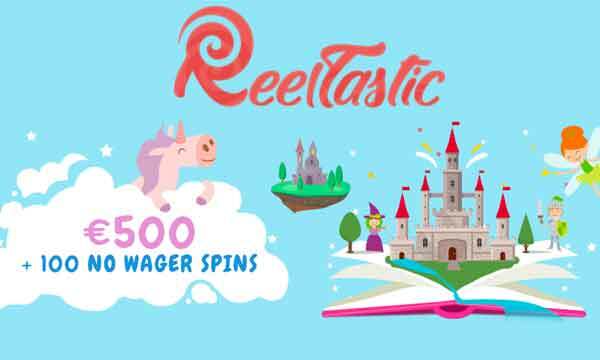 The free spins will be credited instantly to your account, after making your first deposit. The minimum deposit required to activate the Gala Casino Bonus is £10. Wagering of the casino bonus is set at 20x the bonus amount + deposit. So if you deposit £10, you will get a £10 bonus = £20 total. £20 x 20 = £400 wagering requirement. 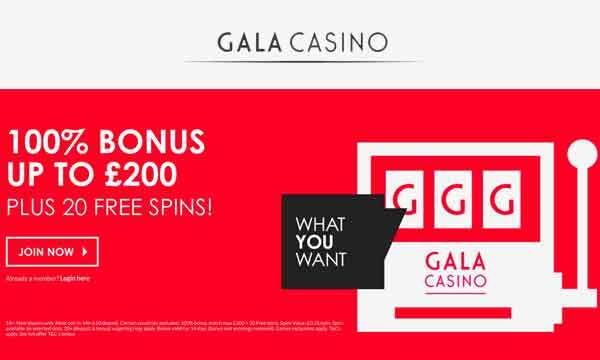 As well as the welcome bonus, you can also enjoy plenty of perks and rewards when you play regularly at Gala Casino. When you join, you will be assigned a personal account manager who will be able to personally tailor your casino experience so you can enjoy it the way you want to. You can expect personalised bonuses, access to exclusive events, gifts and priority treatment. There’s nothing like being rewarded for doing something you enjoy! There are also plenty of ongoing promotions to win some huge cash prizes at Gala. You can enter prize draws and tournaments to get your share of the massive cash give aways. Plus you can also visit the Daily Wonder Wheel where you can spin to win Golden Chips or even more free spins! Gala Casino is a pretty well known online casino in the UK as is its sister company Gala Bingo. They are well established in Great Britain and a firm favourite for many players. They have a good selection of slots and casino games from the likes of Playtech, Microgaming, NetEnt, IGT, NextGen Gaming plus a few more. Plus there a good live casino with plenty of options as well as vast range of jackpot games. The Gala Casino Bonus is also proving to be quite popular with a huge £200 and 20 free spins available on your first deposit. 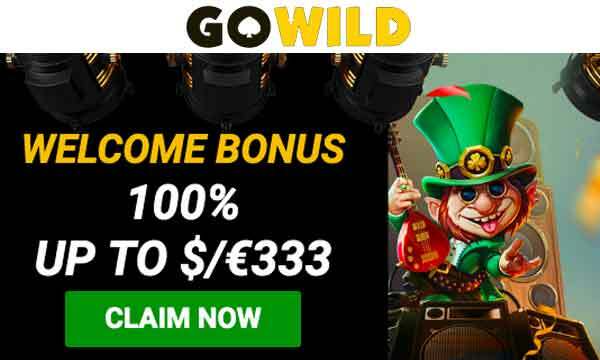 But it doesn’t stop there as there are also many other regular rewards and bonuses to pick up in the VIP scheme or by spinning the Daily Wonder Wheel. Customer support is available by phone, email and live chat. Gala Casino is regulated by the UKGC and GRA. The layout and organisation of the website is good and as you’d expect from a giant in the casino industry. Plus the graphics and images are top notch. Gala Casino is a good all rounder with a decent welcome bonus to get you started.